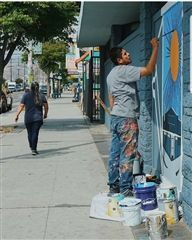 Juan Pablo Reyes is an emerging mural artist who has received commissions for more than 25 murals throughout Los Angeles. 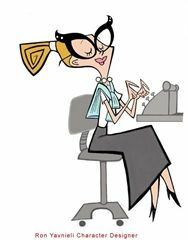 Born in Miami Fl, Ron Yavnieli wanted to be a professional Creator of Cartoons from a very young age. Some of his earliest and still strongest influences were classics such as Popeye, Looney Tunes, Droopy, Tom & Jerry, all things Disney, Ren and Stimpy, Beavis and Butthead, Wallace and Gromit, and Will Vinton's Claymation work from the 80's. Sarah Marcotte is a science and engineering communicator. She began her career in museums with Art History but through a bizarre experience on a New York City sidewalk, she fell in love with science and engineering–subjects she’d never given a second glance in high school. Exploring identities psychologically in different ethnicity backgrounds, cultures, genders, and environment conditions is Ching Ching Cheng's multidisciplinary practice through drawings, paintings, sculptures, installation, photography and video work. 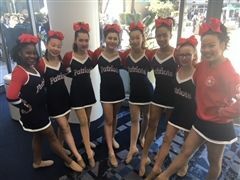 The Pilgrim MS and HS Pom Teams created by our Dance teacher, Mina Ortega, keep on winning. Congratulations on winning this weekend! Pilgrim School brings the best writes and artists to meet with students. From David Gordon to Ching Ching Cheng, students meet and talk about the creative mind and how to explore their creative side!